You are here: Home / What is Applied Kinesiology? Applied kinesiology (AK) is a form of diagnosis using muscle testing as a primary feedback mechanism to examine how a person’s body is functioning. When properly applied, the outcome of an AK evaluation can help determine the best form of therapy for the patient. Since AK draws together the core elements of many complimentary therapies, it provides an interdisciplinary approach to healthcare. Therapies utilized by Chiropractic and Kinesiology can include specific joint manipulation or mobilization, various myofascial therapies, cranial-sacral techniques, acupressure, clinical nutrition, dietary management, various nerve reflex procedures, exercise protocols, and stress management for improved physical health. 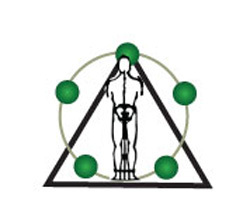 Applied Kinesiology uses the “triad of health” –chemical, mental and structural factors– to describe the proper balance of the major health categories. The triad is represented by an equilateral triangle with structural health as its base, and the upright sides representing chemical and mental health. When a person experiences poor health, it is due to an imbalance in one or more of these factors, all influencing one another. The triad of health is interactive, and all sides must be evaluated for the underlying cause of a problem. A health problem on one side of the triad can affect the other sides. For example, a chemical imbalance may cause emotional and mental symptoms. Applied Kinesiology enables the practitioner to neurologically evaluate the triad’s balance, and direct therapy toward the imbalanced side or sides.